The exact origin of this herb is not known. Nevertheless, it is believed that lemon is native to northwestern India. It belongs to the Rutaceae family. Lemons have antiseptic, anti-bacterial, anti-inflammatory, astringent, carminative, anti-carcinogenic, febrifuge, diuretic, hemostatic, calming, and detoxifying properties. Moreover, they have a phytonutrient called limonoids that fight cancers. In addition, lemon benefits in lowering blood cholesterol, reducing high blood pressure, and preventing cardiovascular disease. It serves as a wonderful natural cure for osteoarthritis and rheumatism. Thus, drinking herbal teas mixed with lemon juice is good for health. You can also add it in salads. Plus, combination of lemon juice and honey is useful in the treatment of upper respiratory infections such as common cold, flu, and so on. When lemon juice is taken with warm water, it works as laxative and relieves constipation. Furthermore, infusions and decoctions prepared from lemon tree bark and root are believed to be helpful in curing colic, gonorrhea, etc. Another health benefit of lemon is that it is effective in healing gum inflammation. It is also used for getting rid of acne, pimples, blemishes, eczema, and other skin diseases. However, those who have an extremely sensitive skin may avoid using lemon home remedies for skin care as it can cause burning sensation. Here’s a video giving information on lemon health benefits and showing how to scrub your skin with lemon and sugar. Besides, lemon helps in curing like scurvy, gout, edema, fever, throat inflammation, stress, nausea, heartburn, cholera, jaundice, insomnia, stomatitis, dandruff, etc. Lemon essential oil can be used to reduce mouth ulcers, cold sores and herpes outbreaks. This herb aids in weight loss as well. In addition, fresh lemon juice changes the pH levels in blood and urinary tract. Coming to nutritional benefits of lemon, it is a well known fact that this fruit is rich in vitamin C. Plus, it contains calcium, potassium, phosphorus, and magnesium. 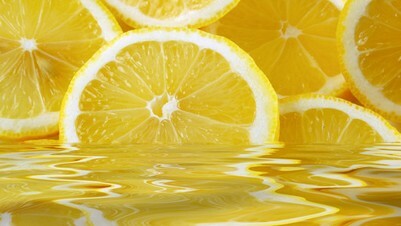 • Drinking lemon juice mixed with lukewarm water in the morning stimulates digestion and helps the body remain hydrated. Following this therapy on a regular basis adds a glow to your skin. 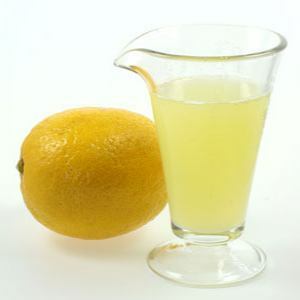 • Consuming a tablespoon of lemon juice before having meals is useful in treating stomatitis as it improves digestion. Plus, you can gargle with a solution of water mixed with lemon juice a several times in a day. Stomatitis is usually caused by indigestion or an increase in toxicity of the body. 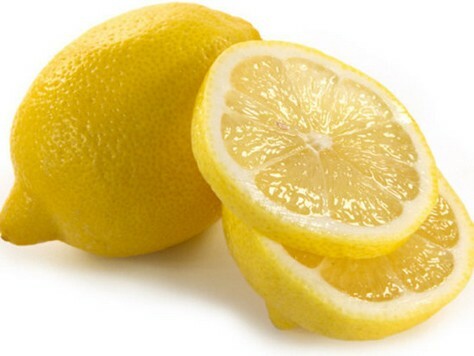 • Simply smelling lemon peel can ease nausea. 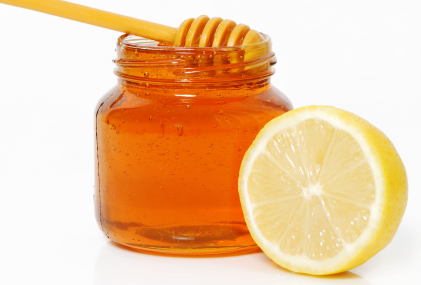 In addition, you lick a mixture of one teaspoon each of lemon juice and honey to avoid vomiting. • Drinking carbonated lemonade helps relieve stomach pain and flatulence. • Lemon benefits in facilitating the natural treatment of scurvy by adding three parts of water in one part of lemon juice. You can also add honey in this remedy. Similarly, drinking 50 ml lemon juice along with water is helpful in curing jaundice. • Having a cup of warm water mixed with two teaspoons of lemon juice and one teaspoon of honey is highly beneficial when dealing with arthritis. Plus, you can heat lemon leaves in sesame oil until the leaves get burnt. Apply this oil on the affected areas to reduce joint pain. • Taking warm water mixed with lemon juice and honey is one of the most popular lemon home remedies for cold and flu. You may also add ginger in it. • Soaking your legs in warm water for sometime and then rubbing a slice of lemon on the soles promotes relaxation. In addition, it works as a natural cure for insomnia. • Intake of a mixture of one teaspoon each of lemon juice and onion juice three times in a day is useful in healing malarial fever. • Drinking about two liters of water mixed with lemon juice is effective in dissolving kidney stones because it tends to increase citrate levels in the urine. You may sweeten this simple home medicine with honey. Alternatively, you can have a mixture of two ounces each of lemon juice and olive oil every three to four hours. Needless to say, drink plenty of water throughout the day. • To derive health benefits of lemon for weight loss, you need to prepare a detox drink with this herb. To make this drink mix two tablespoons each of lemon juice and grade B maple syrup, and 1/10 teaspoon of cayenne pepper in five ounces of water. Again add five ounces of water in it and mix the solution well. Consume about 6-12 glasses of this drink in a day. Follow this therapy for 10 days. Combination of lemon juice and maple syrup helps reduce cellulite. • Putting a drop of lemon essential oil on the affected area can resolve cold sores and mouth ulcers. This oil also brightens dull skin and helps in the treatment of acne scars and blemishes. In case you have sensitive skin, mix glycerin in the oil and then apply. Moreover, inhaling lemon oil relieves stress and increases concentration. • Applying an aromatic paste prepared by grinding lemon peel is useful in healing headache. You can apply it on the forehead and temples. • Exposing your face to the steam of boiling water mixed with lemon juice and mint is helpful in getting rid of pimples and blackheads. • Appying a combination of three parts of lemon juice and one part of salt on teeth is works as an efficient lemon home remedy for teeth whitening. • To remove dandruff on dry scalp, regularly apply warm coconut oil mixed with a few drops of lemon juice on your scalp for about 30-45 minutes and then shampoo your hair. You can also massage a mixture of one teaspoon of lemon juice and two teaspoons of apple cider vinegar on the scalp before shampooing. • Rinsing your hair with a cup of water mixed with a teaspoon of lemon juice after shampooing can add luster to your locks. • The citric acid present in lemon juice tends to lighten hair color. Thus, you can comb this juice through damp hair and let it dry in the sun and then apply some honey (to avoid dryness in hair). Finally, wash your hair, preferably with warm water, to lighten your hair color naturally. Lemon can also be used as a substitute for salt, especially when dealing with high blood pressure. Furthermore, you can deodorize your microwave after cooking a smelly dish in it by heating a solution of water and lemon juice in the microwave to remove any lingering odor. It is believed that rubbing lemon rind on an insect bite immediately reduces itching and avoids infection. As lemon has a calming effect, you can use lemon oil as a room freshener (water mixed with 10-20 drops of lemon essential oil). Moreover, you can add a few drops of lemon oil in lemonade to improve its flavor. It is suggested not to drink lemon juice in excess as it can corrode the tooth enamel over a period of time. Moreover, it is not recommended for those who are suffering from intestinal cystitis. Similarly, those of you who have kidney or gallbladder disorders should limit the use of lemon because it is rich in oxalates that tend to crystallize. Application of lemon peel oil can cause contact dermatitis in certain individuals. Though lemon benefits in reducing sunburn, excessive use of lemon juice on skin can make it susceptible to tanning. can i drink lemon and honey with hot water during jaundice..I suffered from jaundice last 3 months can i take it??? I like this herbs cure. Pliz send me more updates through my email.